Another little time bomb…. 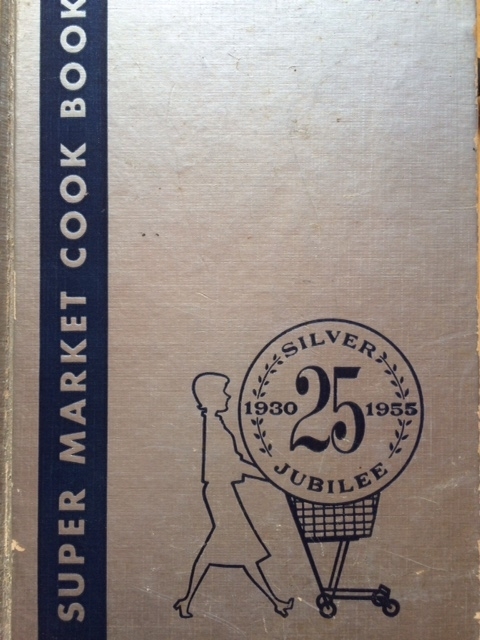 This book, published in 1955 to celebrate the twenty-fifth anniversary of the supermarket, has some of the stranger recipes I’ve encountered. 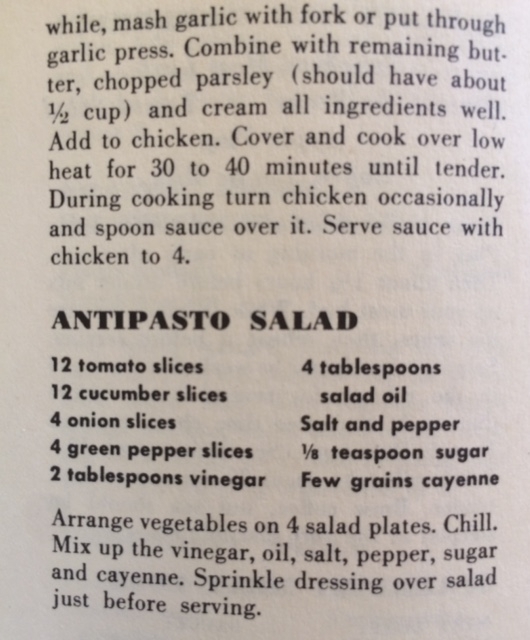 There is, for example, this “Mexican” salad. I suppose it’s the addition of chili powder that provides that south of the border slant? 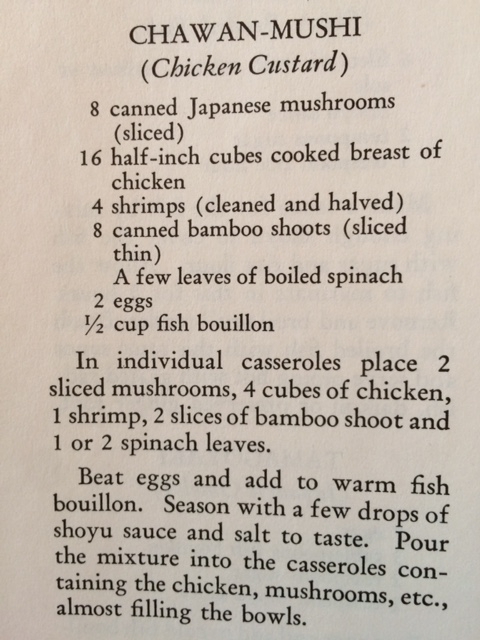 And here’s a “Japanese” appetizer that would startle most people in that nation. Most people in any nation, come to think of it. Where on earth did this come from? 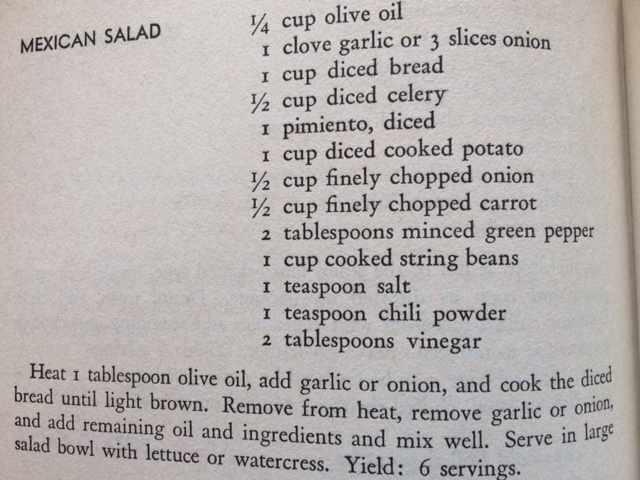 And finally, a truly strange American salad. 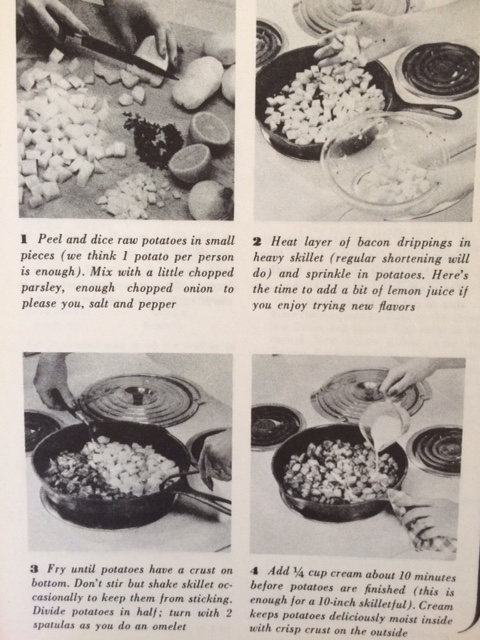 I also found some unexpectedly intriguing recipes in this odd book. I’ll post those tomorrow. 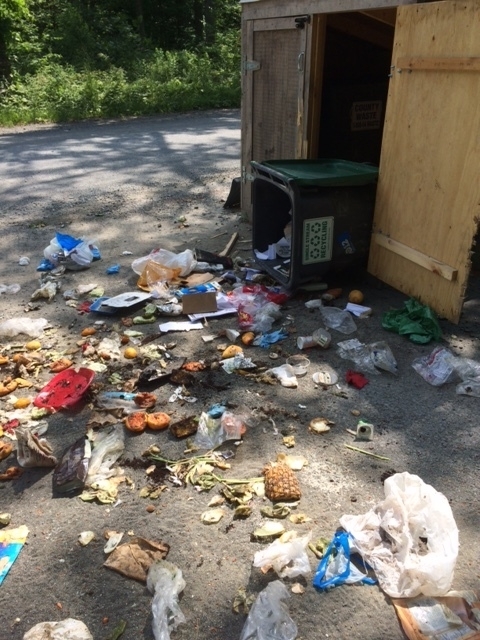 Our not-so-bear-proof garbage hut is under repair, and we’re praying that two hefty locks, sprayed bleach and ammonia-soaked rags will keep our trash off the road. I won’t hold my breath; If I was a bear, I’d want my trash too. In other wild life news, a pheasant went meandering across our lawn this morning. Every once in a while one manages to escape from the shooting club down the road. I cheer every bird who makes it up here, and I certainly won’t be the one to end his life. (If his plumage can be trusted, he is indeed a “he.”) Still, I couldn’t help wondering what I would do with this pretty bird if I wanted to put him on my table. 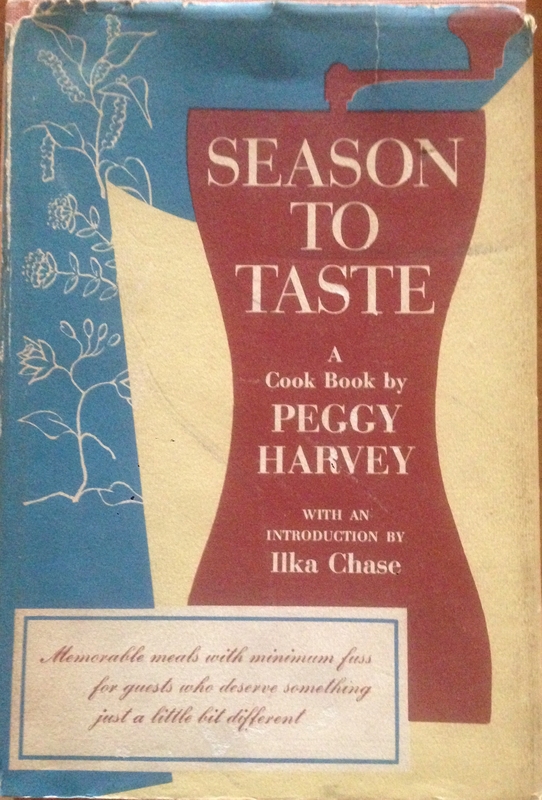 Here’s a suggestion from Season to Taste, Peggy Harvey‘s irresistible cookbook, written in 1958. 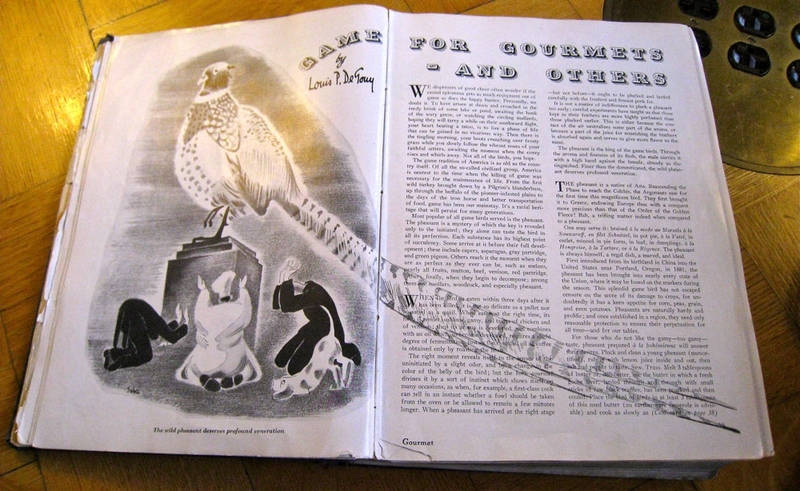 Should you happen to have a pheasant on hand, you might try this. 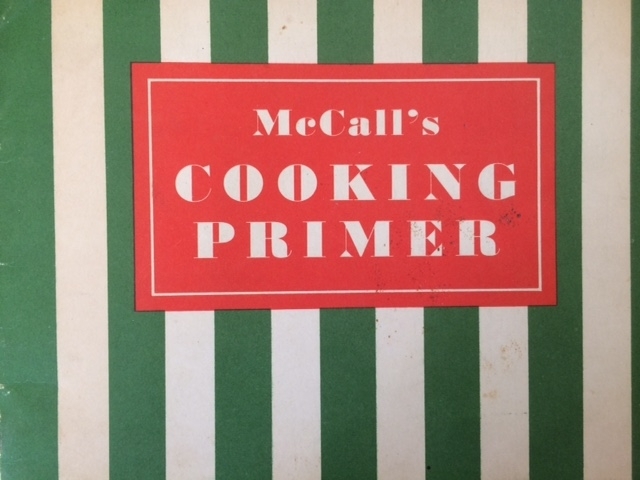 This book was apparently written by Helen McCully who was then the food editor of McCall’s Magazine. 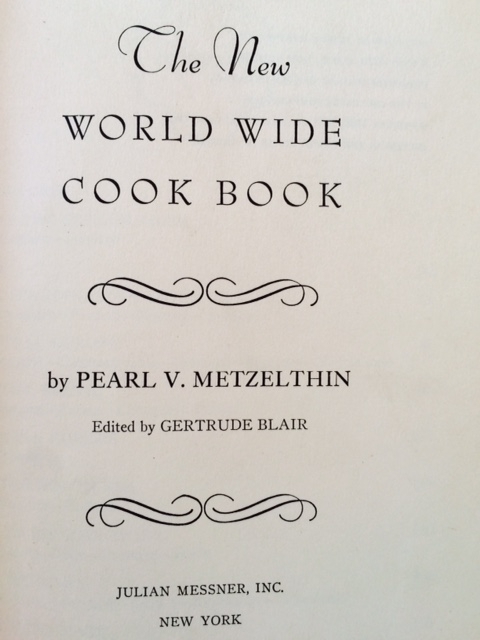 She was a prolific cookbook author (and the person who introduced Julia Child to her neighbor, Jacques Pepin). I doubt Ms. McCully had all that much to do with this particular book, which you could get by sending 25 cents in stamps to the magazine. 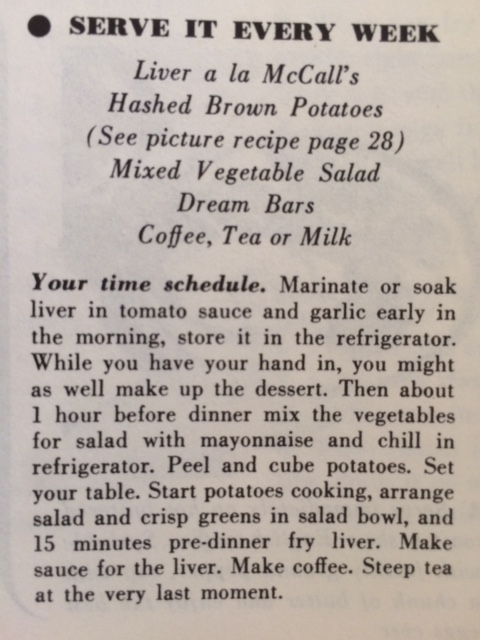 It’s a genuine time-machine, filled with advice, photographs, and menus for “Nice Everyday Dinners” and “Tasty Casserole Meals.” “Flavorful Eating for Four” features chili con carne and “Your Friday Dinner” is, of course, pan-fried fish fillets. 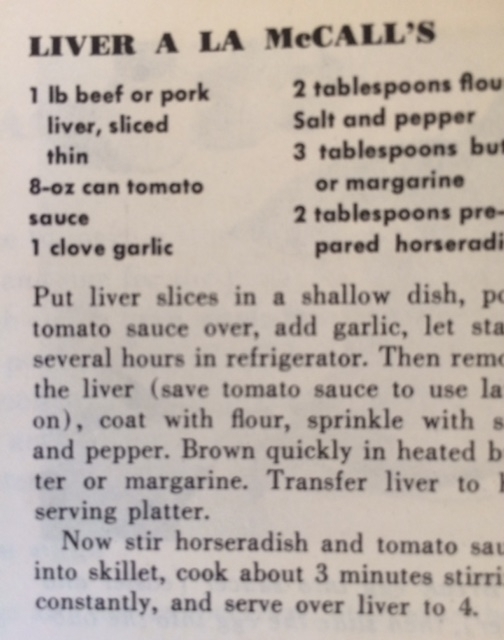 I love this glimpse into a long-gone America. Here, for instance, is the magazine’s take on France, where, of course, the natives normally served their meals with antipasto salads. The weather’s been so beautiful here lately. This was what I saw last night. And then, when I went down the hill this morning, I was confronted with this….I put these pictures here for all you nonbelievers who doubt my bear tales…. 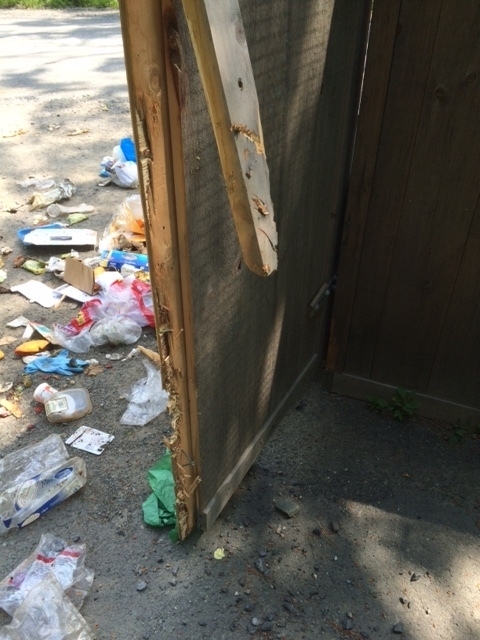 We built this extremely sturdy shed to keep the bears out of the garbage. But they huffed and they puffed and they clawed the doors down. If anyone has any suggestions for ways to foil them, I’m open to anything. There are few less pleasant ways to start a day than by cleaning up after the bears. 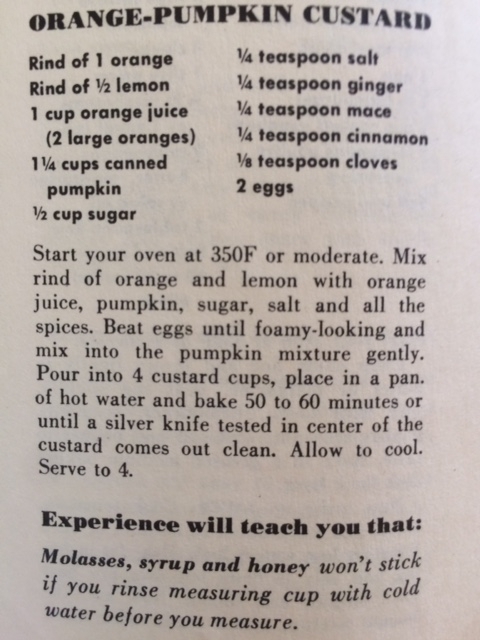 If you’ve read this far, I feel I ought to at least offer you a recipe. 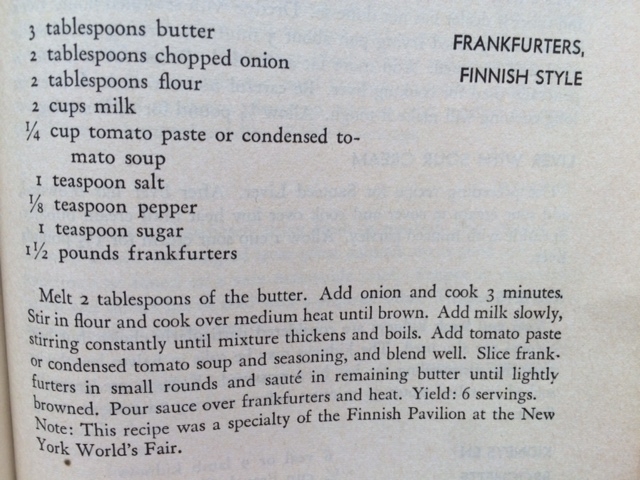 So here’s what I’m about to make: easy, pretty, very delicious. 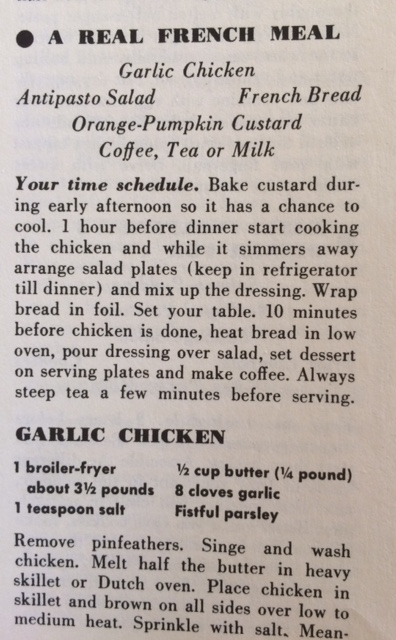 And I’m fairly convinced that the bears will have zero interest in this classic James Beard recipe. Begin with a sliced loaf of sturdy white bread, or a loaf of brioche. Take an inch and a half round cookie cutter and cut circles out of the bread. 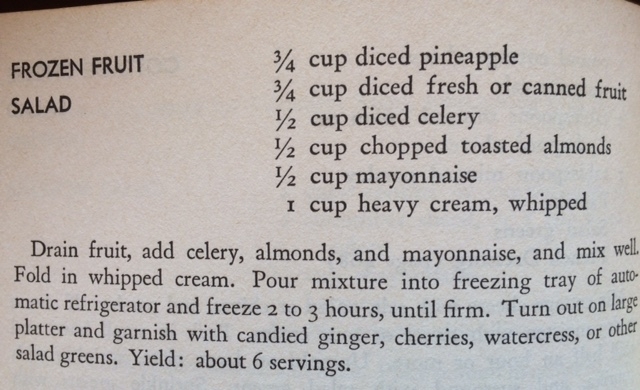 Slather them with good commercial mayonnaise and sprinkle that with salt. Slice 4 small white onions very thinly. Put a slice of onion on a circle of bread and sandwich it with a second piece. 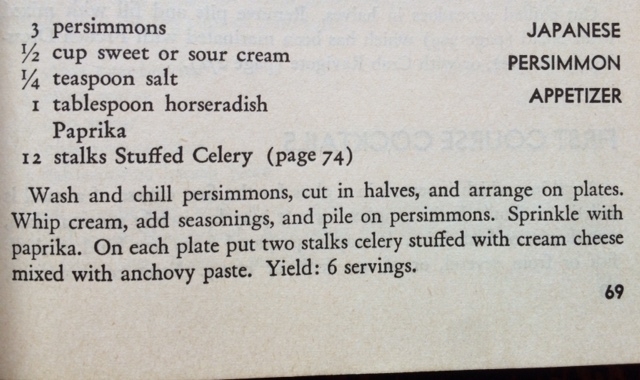 Chop a bunch of parsley. 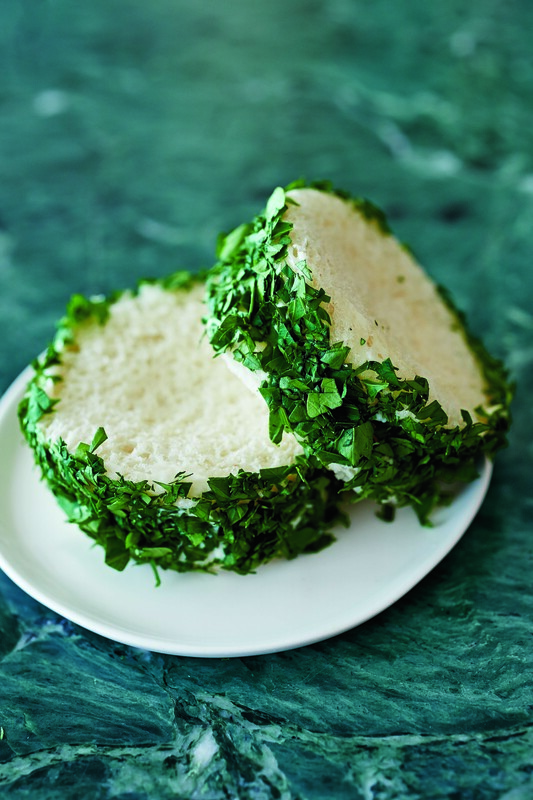 Spread mayonnaise on the edge of each sandwich and then roll it in parsley. 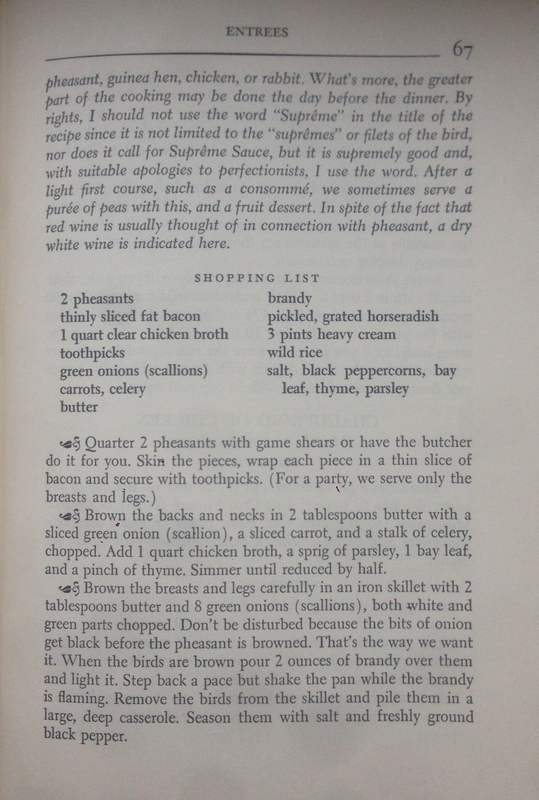 which was published in 1944 by Gourmet’s first editor, I found a recipe so insane that I went leaping through a few of my other cookbooks, looking for different versions of the same recipe. 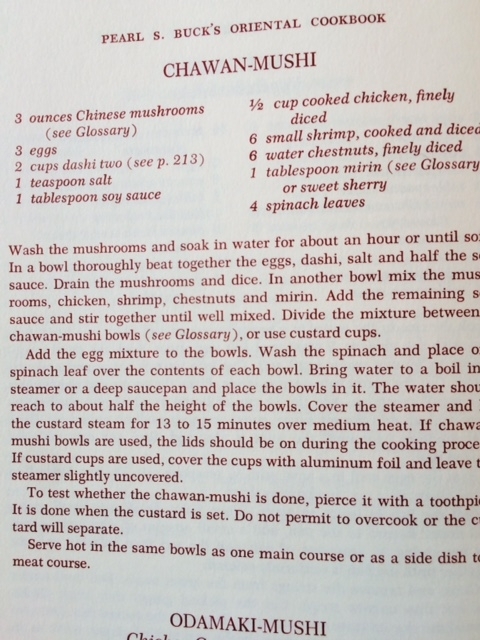 Chawan Mushi, the light, savory Japanese custard, is one of my favorite dishes. 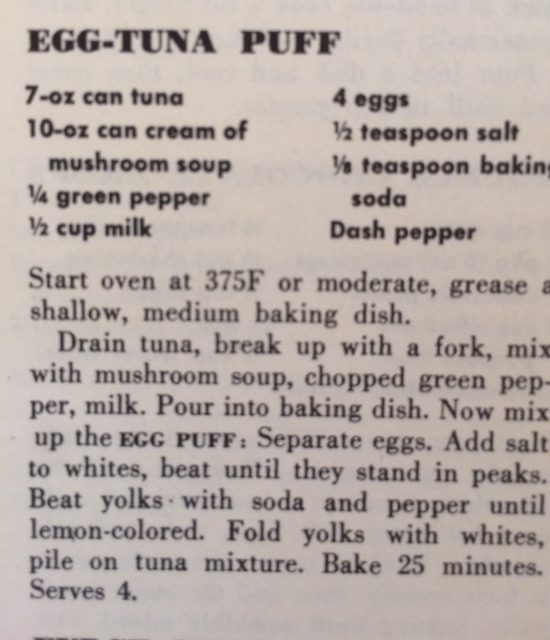 It makes a perfect simple supper on a summer night. 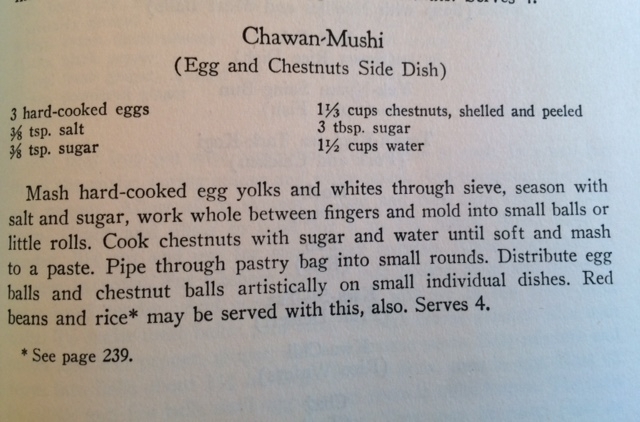 At least the recipe I use does. This one of Madame Metzelthin’s? 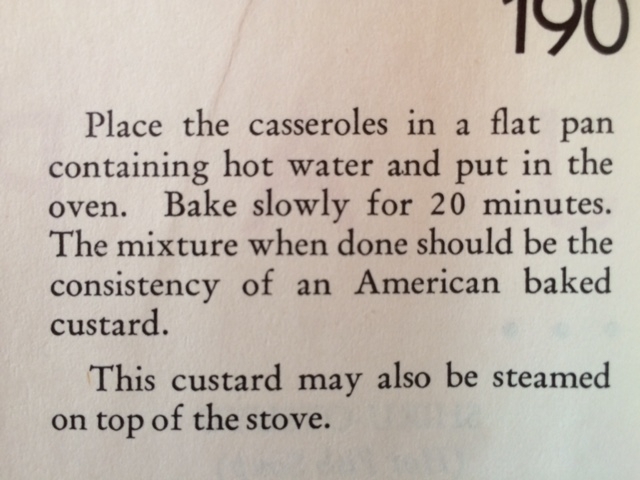 Although she was married to a diplomat, and apparently ran households in eleven different countries, this is not a recipe I’d care to attempt. Then I thought I’d see what another prominent Pearl had to say on the subject. 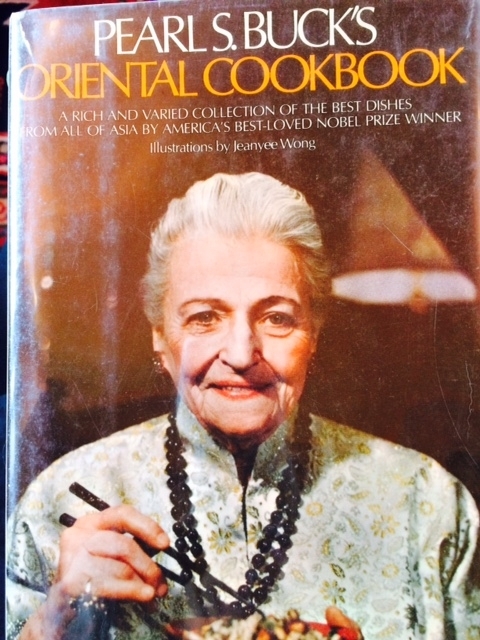 Pearl S. Buck, author, Nobel prize winner and long-time resident of China, published her Oriental Cookbook in 1972. This one’s more like it! 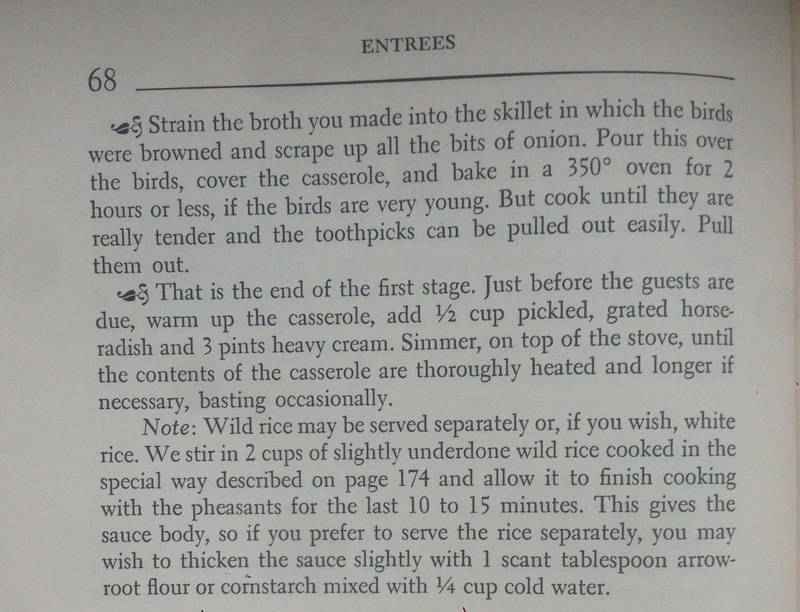 But if you’re going to make chawan mushi, I’d recommend using the recipe from this book: Japanese Cooking, A Simple Art. 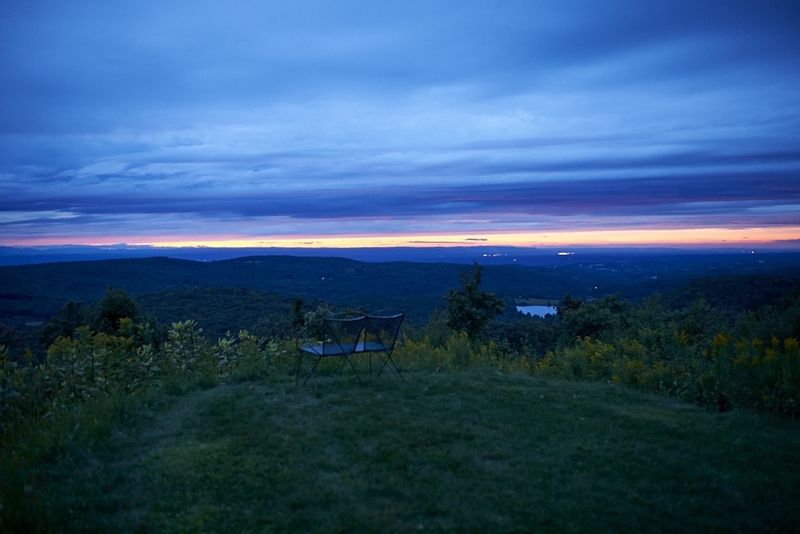 I’m sorry – my copy of the book is in the city, and I’m upstate. 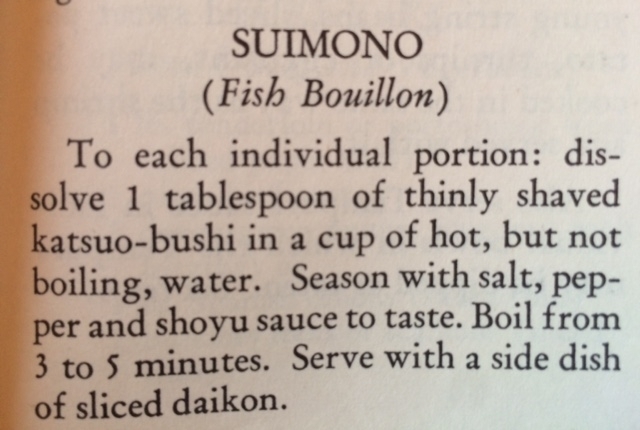 But it is, to my mind, the go-to book on Japanese cooking. 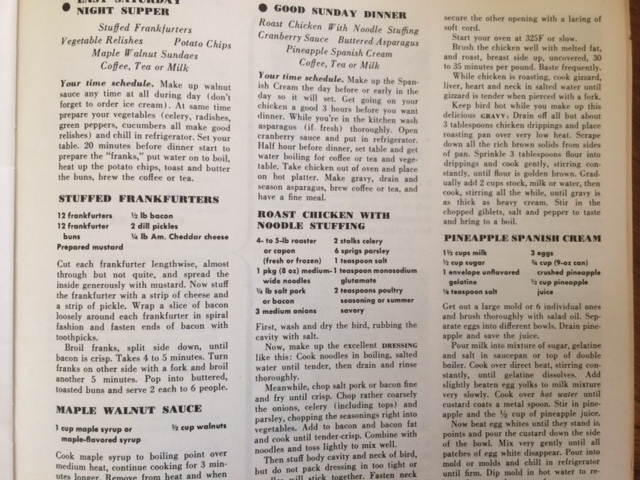 The recipe is on page 215, and if you click the link above you can look inside the book and find the recipe. It uses, among other things, ginko nuts, which add a wonderful textural note to the custard.